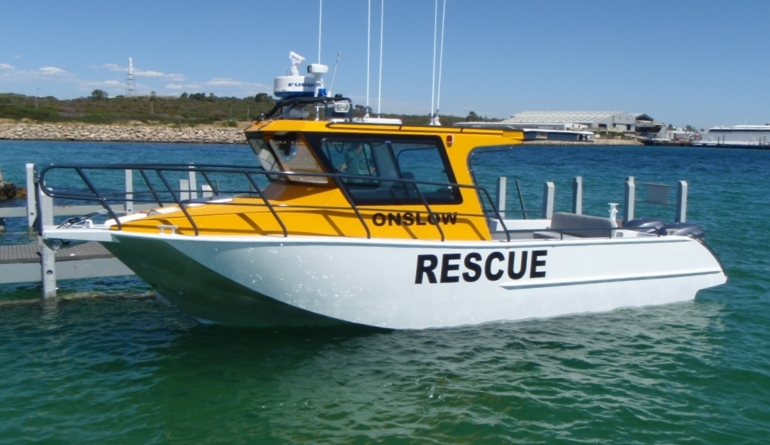 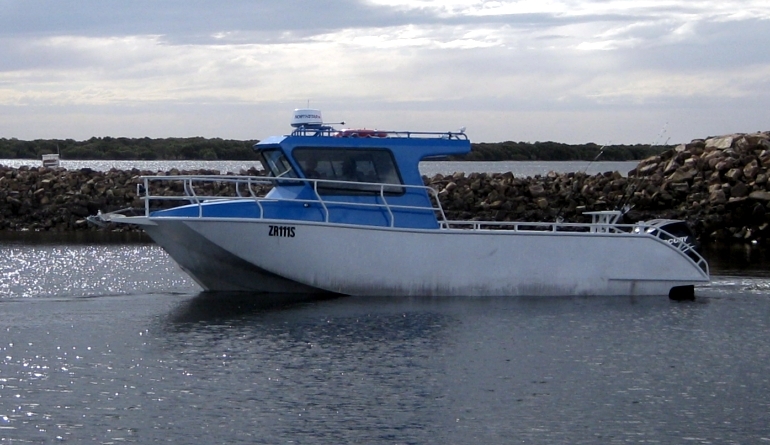 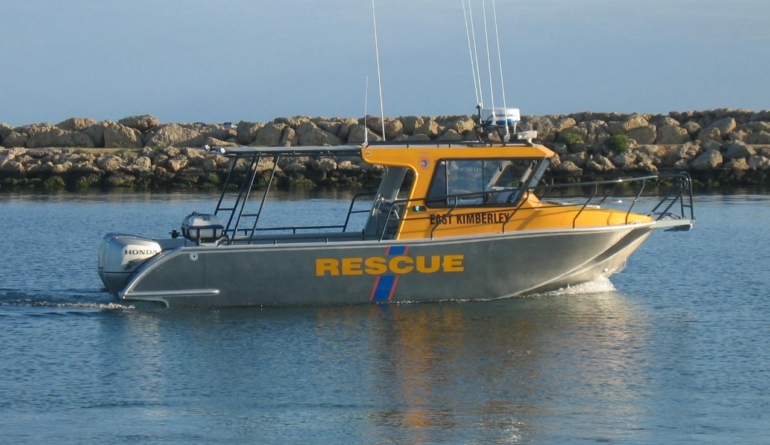 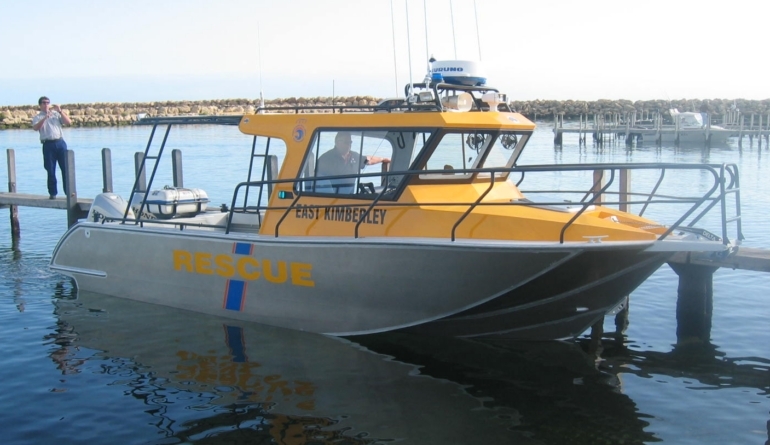 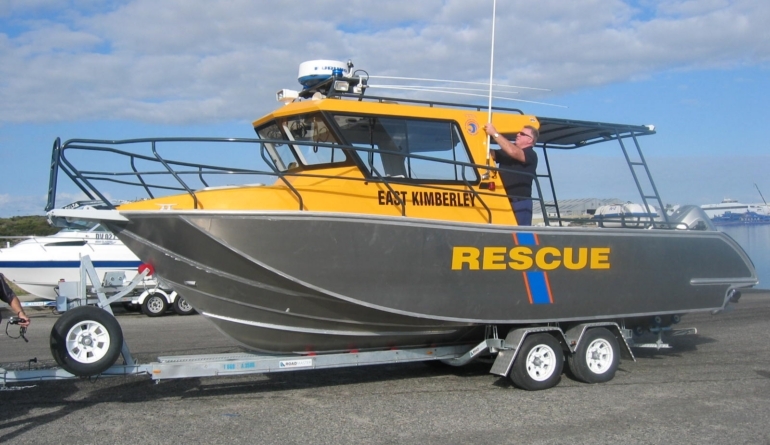 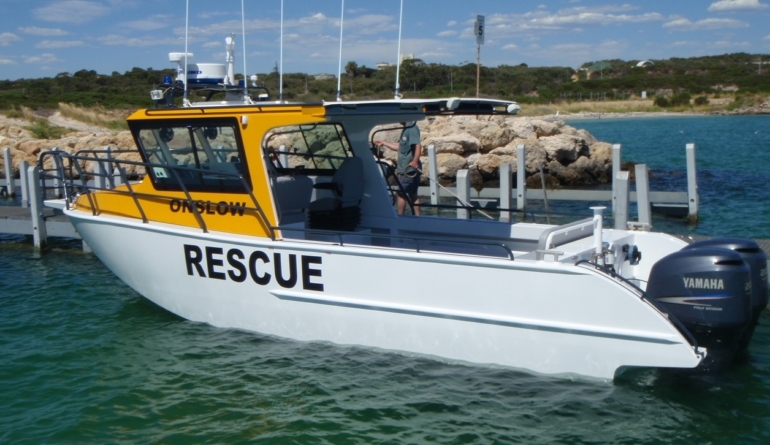 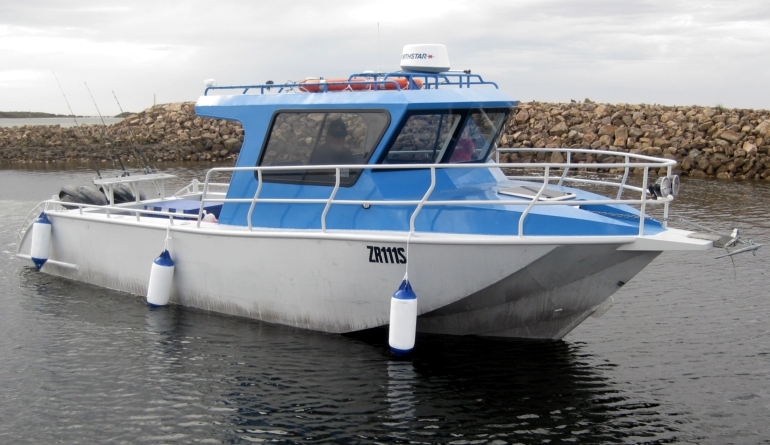 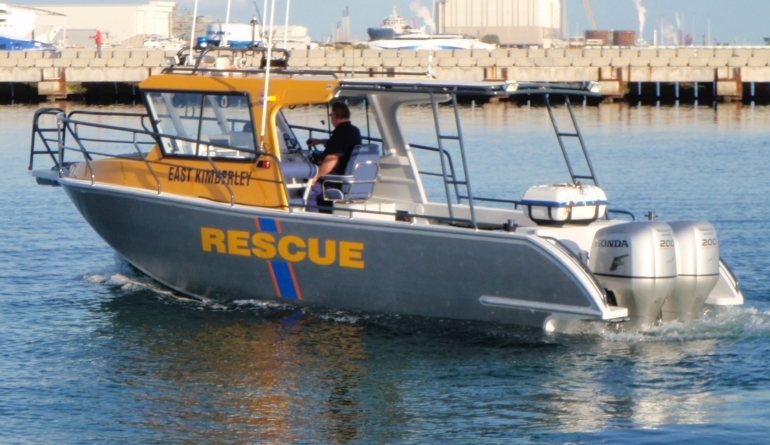 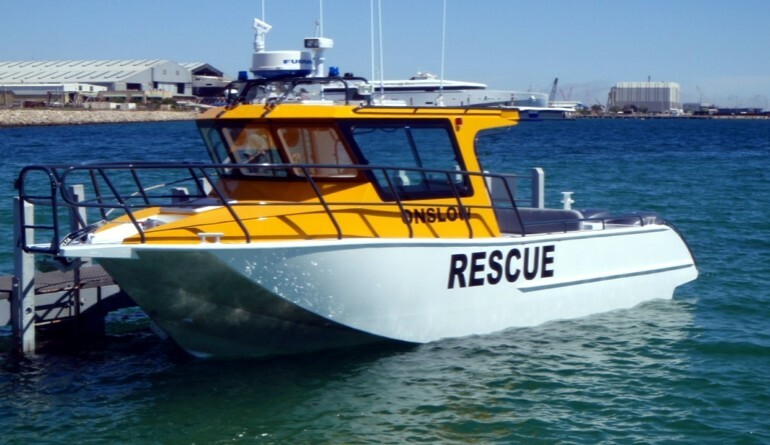 This aluminium Air Rider Marine Kit was commissioned by the East Kimberley Sea Rescue Group and expertly built by Kirby Marine’s Coastal Craft in Henderson, Western Australia. 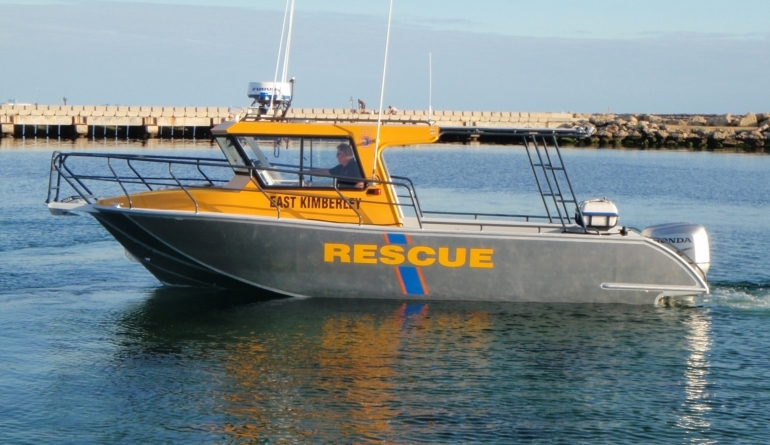 Initial sea trials with Rob Kirby, Gavin Mair and Paul Kimber showed a glimpse of the boat’s potential and it has since been given the gold star approval from the sea rescue group and FESA. 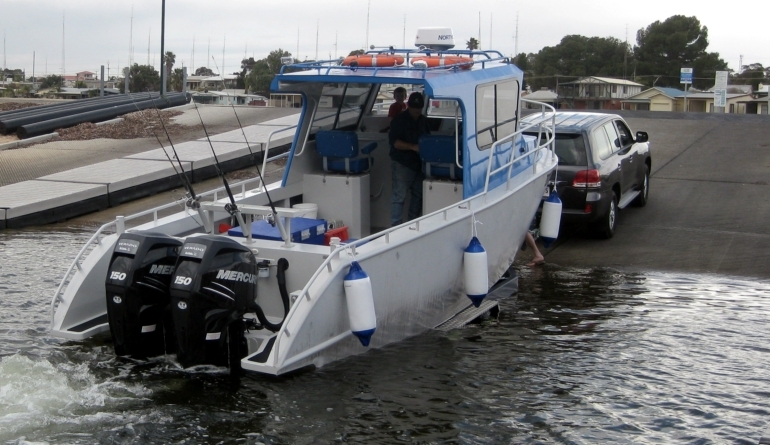 Although this kitset was originally designed as a sea rescue vessel, it is also well suited to serious offshore fishing.